This Place of Worship was founded in the 16th century, but we understand it was closed in 1849. 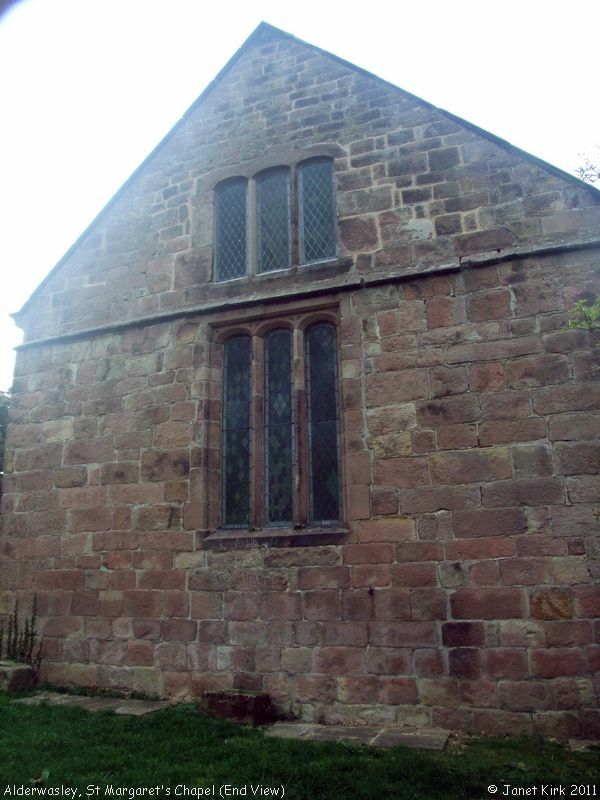 St Margaret's Church is a single celled structure, which today is in use as a village hall. Several sources date it as 16th century, but according to Kelly's Directory of 1932 it was rebuilt then (in the reign of Henry VIII). It was built (or rebuilt) by Thomas LOWE Esq., and other principal inhabitants. 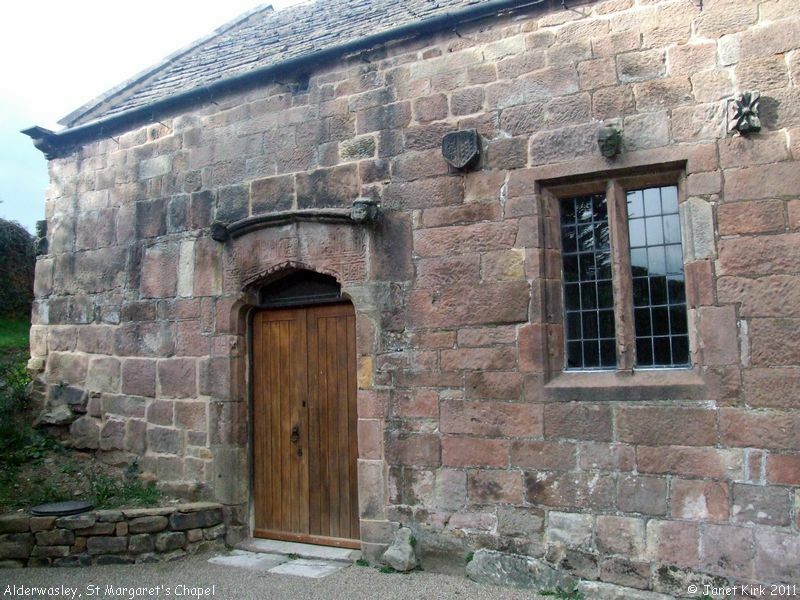 However latterly it appears it may have functioned largely as a private chapel of the Hurt family, as "it is not subject to ecclesiastical jurisdiction, and has no parochial duties performed in it, nor any endowment", and its minister was paid an optional salary by Mr HURT. The family crest (of alabaster) over the entrance doorway of the chapel, features the arms of LOWE. 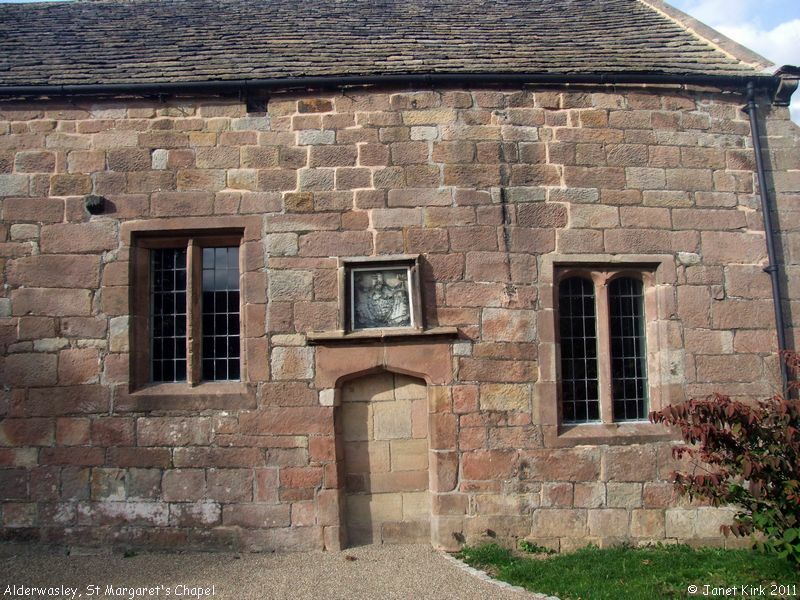 According to some legends, the chapel may be haunted. It may also have its own sheela-na-gig, though there appears to be some doubt of its authenticity, since they are more usually found on Romanesque buildings. 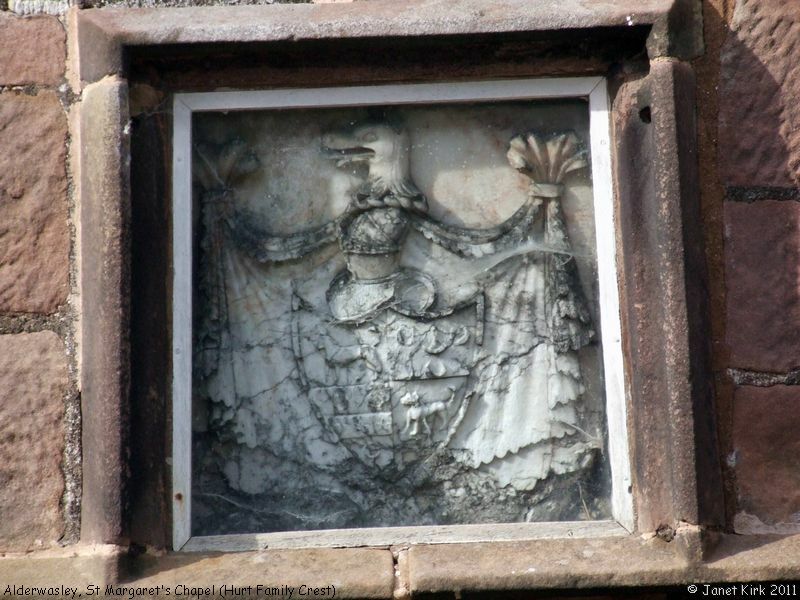 It is on the front face of a large corner stone on the left hand corner of the chapel, above the level of the entrance door, and can be seen in profile on the second photograph of our set. Further information is available on The Sheela Na Gig Project website. It was replaced as a place of worship for the parish in 1849, when a new church, designed by H.I. Stevens was built near to Alderwasley Hall. 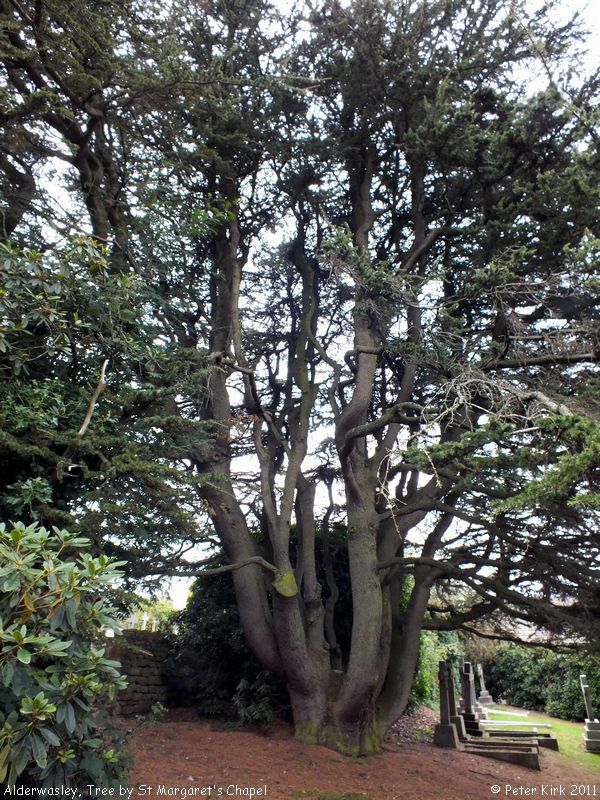 Kelly says that afterwards, St Margaret's was used as a mortuary chapel, in conjunction with "a small inclosed cemetery, the private property of Francis George Hurt esq., adjoining which is a public cemetery, on land given my Lt-Col. A.F. HURT". The chapel is set on rising ground, and the Hurt family graves, seen on our final photograph in this set, are on a bank on the top side of the chapel. The main cemetery is over the wall, to the left of the photograph. 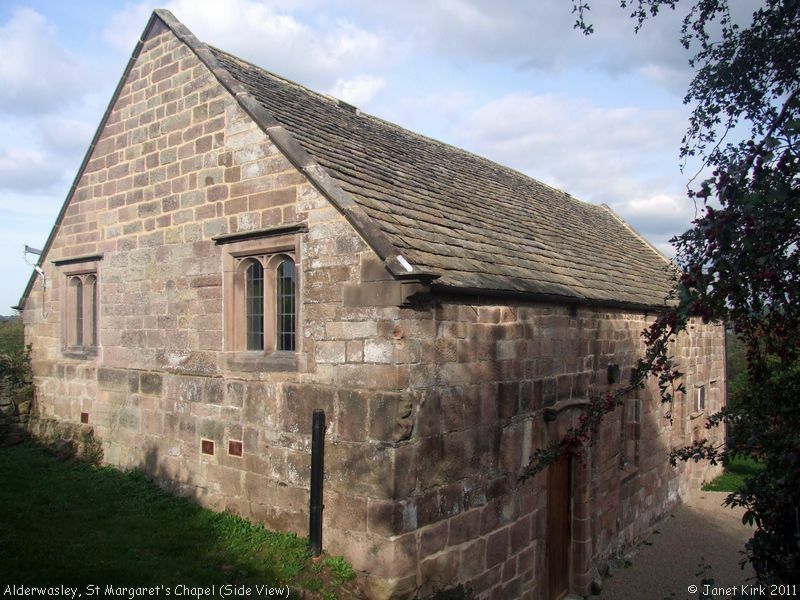 St Margaret's Chapel, Alderwasley shown on a Google Map. Places of Worship in Alderwasley shown on a Google Map. I have found many websites of use whilst compiling the information for this database. 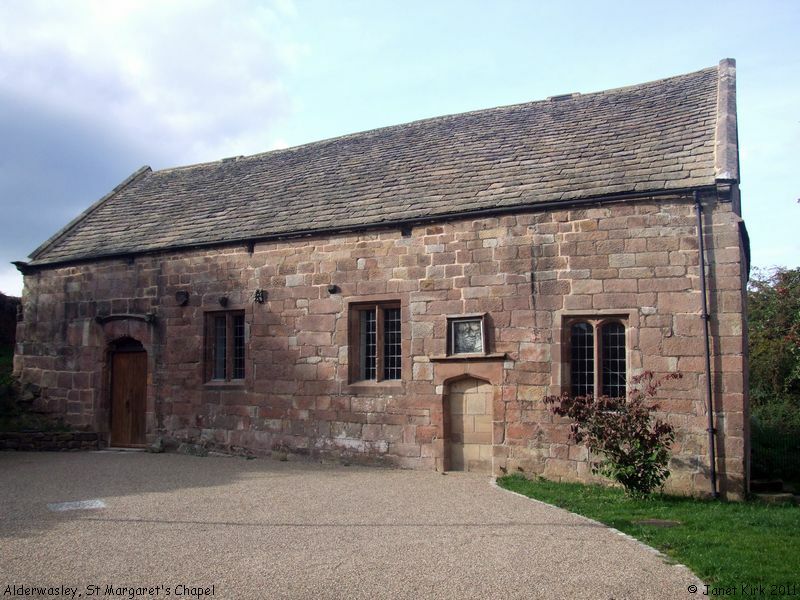 Here are some which deserve mention as being of special interest for Alderwasley, and perhaps to Local History and Places of Worship as a whole. Information last updated on 18 Sep 2011 at 18:10. This Report was created 4 Apr 2019 - 22:46:18 BST from information held in the Derbyshire section of the Places of Worship Database. This was last updated on 6 Feb 2019 at 15:49.